Hello to all of our sassy friends!! And, welcome to our new challenge for this week. All of your entries in our Butterfly challenge were simply sensational!! Thank you to everyone who joined us and shared their creativity. We loved seeing everyone's beautiful entries. Woot-woot!! Congratulations to you, Barbara Diane. Just email Sassy Cheryl and she will get you all set up for your two free images from her shop. 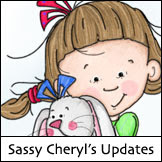 Sassy Cheryl has a few new ones she listed in the last few days and you will love them. 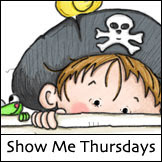 Sassy Jeni (aka Flip Flop) set the challenge theme for this week and it's April Showers. Here's what Jeni and the sassy gals have created for Sassy Jeni's challenge. Aren't these takes on April Showers just sensational? 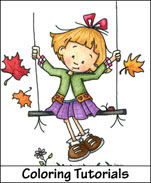 To play along with us, and we hope that you will, just follow Jeni's theme, post your creation to your blog or online gallery, link back here using InLinkz (below). The Sassy gals will be by to say hello and leave you a bit of sassy love. You may enter only once and you don't have to use a Sassy Cheryl image, but we certainly love when you do. 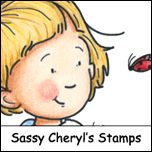 If you use a Sassy Cheryl image, you get two entries in our random drawing. We're looking forward to seeing your creations! Have a fantastic week. Congrats Barbara!!!!!!!! Just drop me an email and I'll get you all set up with your 2 FREE images! Ladies. . . . WOW! Simply darling!. These are all AMAZING!!!! Love 'em! Ladies, you've outdone yourselves again. Great challenge Jeni. LOVE it and Cheryl just happens to have a new image in the shop that I might just HAVE to HAVE for this. Great cards. Hope you enjoy my interpretation of this fun challenge - the flowers and garden that grow with these showers!! Challenge #109. . . .Soft Pastels. HOW FUN!